Originally known as Fair Oaks, the Town of Atherton was once part of the Rancho de las Pulgas Mexican Land Grant. With the development of the Southern Pacific Railroad in the 1860s, and the addition of the flag stop community Fair Oaks to the railroad, many San Franciscans began to travel south to establish summer homes in this area. One of the first to do some was a man by the name of Faxon Dean Atherton. Atherton originally hailed from Massachusetts before spending years in Hawaii and Chile as a tallow, hide, and merchandise trader. Eventually he settled down in the community that would soon become Fair Oaks. After failed attempts to incorporate in 1874 and 1911, the Town was finally successful on September 12, 1923, after Menlo Park made plans to incorporate their land along with the land of Fair Oaks. The Fair Oaks residents wished to remain completely residential, and would not continue to be so if they were incorporated as part of Menlo Park. The Town rushed to incorporate; they narrowly beat out Menlo Park and from then on were known as the Town of Atherton. The Town was forced to change their name from Fair Oaks as there was already a town near Sacramento with that name. Citizens chose the name Atherton after Faxon Dean Atherton, the first prominent landowner in the Town’s history. Atherton is a tight-knit town that strongly encourages involvement in the community. There are several organizations that residents can join in orderto give back to the community. 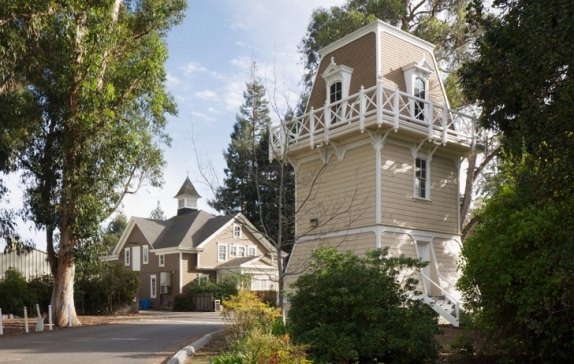 One of these organizations is the Atherton Heritage Association, which organizes,preserves, displays, and researches materials on the history of Atherton and its residents. The Atherton Arts Association aims to promote appreciation of arts by way of community support and participation. The Friends of Holbrook-Palmer Park (FHPP) is another organization in Atherton that promotes community participation. This organization brings people together to help sustain the Town’s park space. The FHPP do this by organizing events to help raise money for the park. 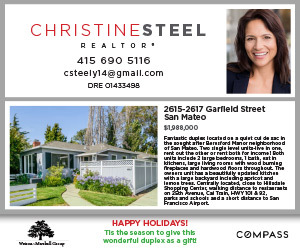 Being a strictly residential town, there are no commercial areas located anywhere in Atherton. However, Atherton is nestled right between Redwood City to the North and Menlo Park to the South. Residents can visit either of these two cities for any of their dining and entertainment needs. Atherton has one recreation site, Holbrook-Palmer Park. Holbrook-Palmer Park is a park with a garden setting, indoor and outdoor activities, a ball field, tennis courts, a playground, and walking paths. The park also has structures to rent for events and recreational activities for residents. Atherton’s schools are some of the best in all of San Mateo County. The Town consists of three public elementary schools (Encinal, Las Lomitas, and Laurel,) one K-8 public school (Selby Lane,) and one public high school (Menlo-Atherton.) Encinal and Laurel schools are presided over by the Menlo Park School District, Las Lomitas is presided over by the Las Lomitas School District, Selby Lane is presided over by the Redwood City School District, and Menlo-Atherton is presided over by the Sequoia Union School District. There are four private schools in Atherton: St. Joseph’s (PK-8) Sacred Heart (PK-12) Menlo School (6-12) and Menlo College. As of the 2010 census, Atherton had a population of 6,914, and is estimated to be 7,207 as of 2016. 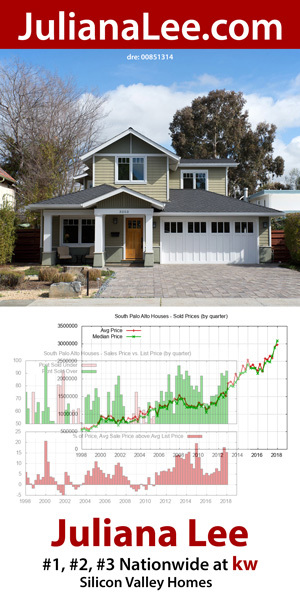 The average sale price of a home in Atherton as of April 2018 is $6,927,142. 92% of residents own their homes, while 8% rent. The majority of residents are married, 82% being so, while 18% of residents are single.